A regular sailor, Hannah, who just loves to get as wet as possible when she sails, clutches her 2018 Sailability trophy. These are prized possessions for all who receive them. Again a huge thankyou to Colin and Steve for their efforts in making these. 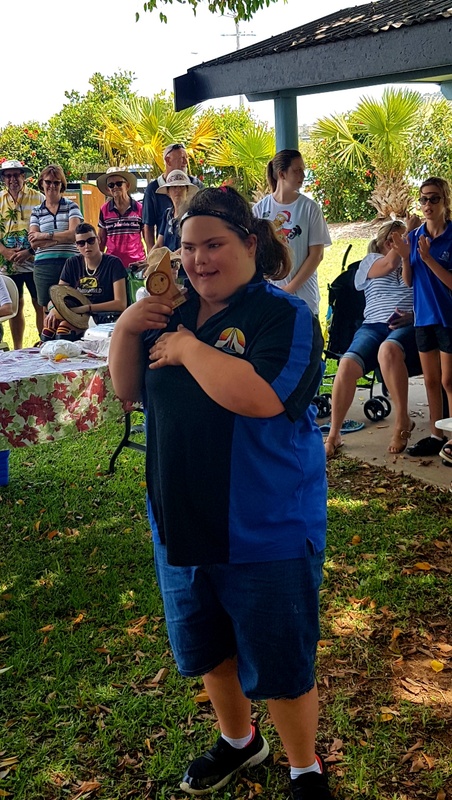 ← Sailability Capricornia Volunteers End 2018 in Style!